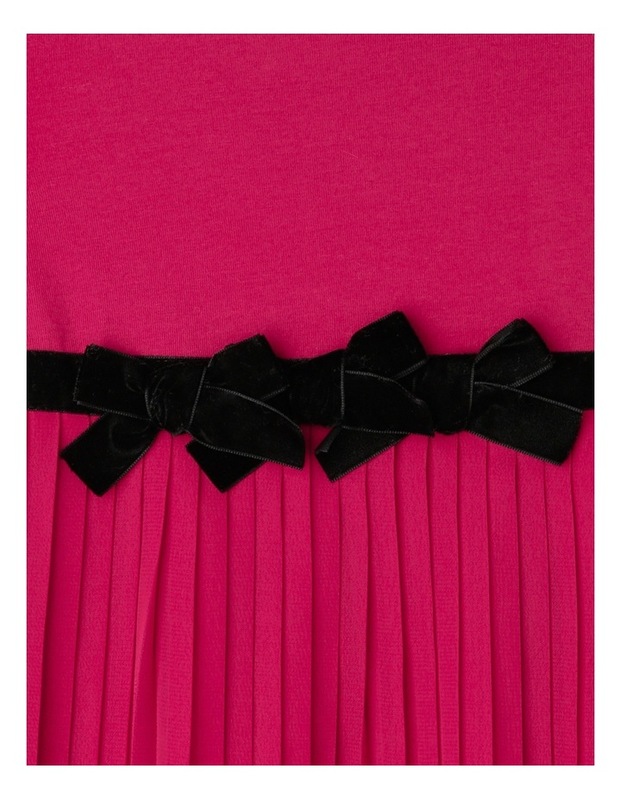 Origami Pleat Skirt Dress With Velvet Bows. Cherry. Toddler 0-2. Origami Pleat Skirt Dress With Velvet Bows. Cherry. 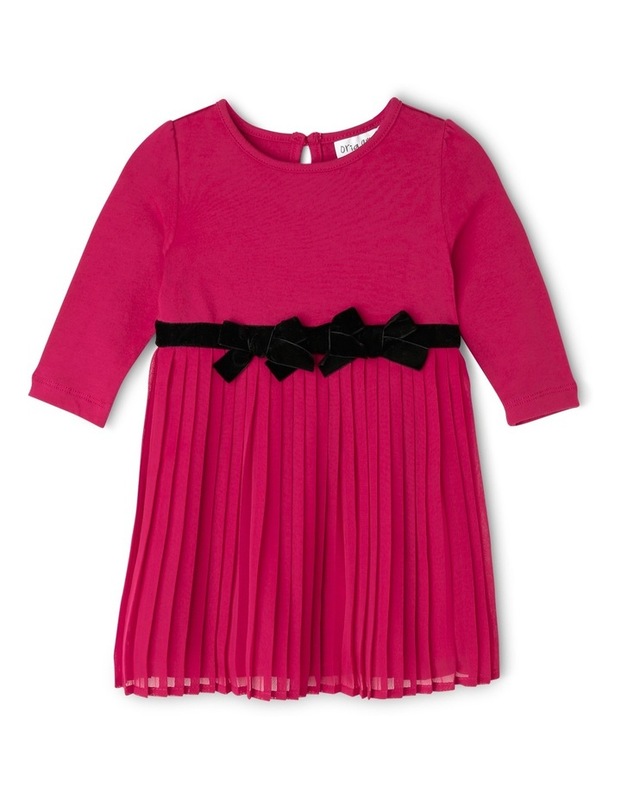 Toddler 0-2.Pleat Skirt Dress With Velvet Bows. Cherry. Toddler 0-2. 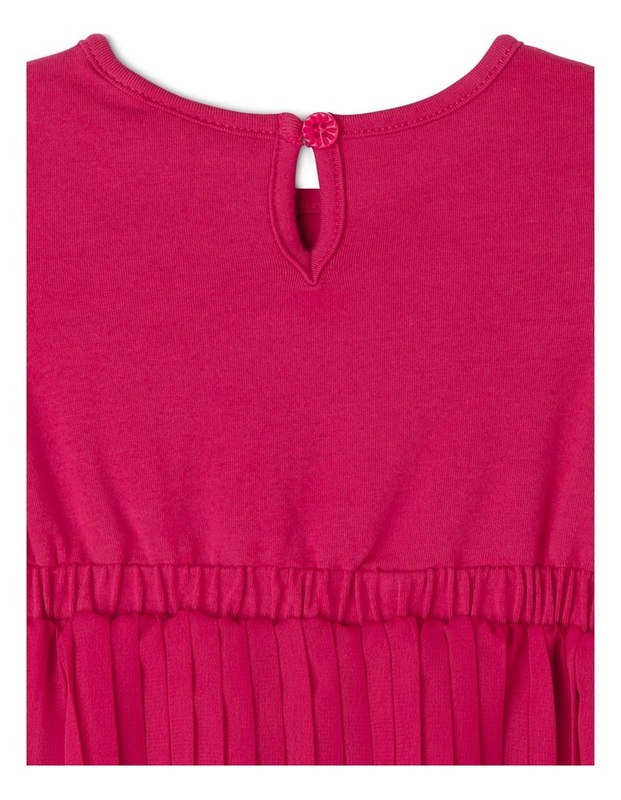 • Fabrication: Bodice - 95% cotton 5% elastane jersey knit. Skirt - 100% polyester chiffon.